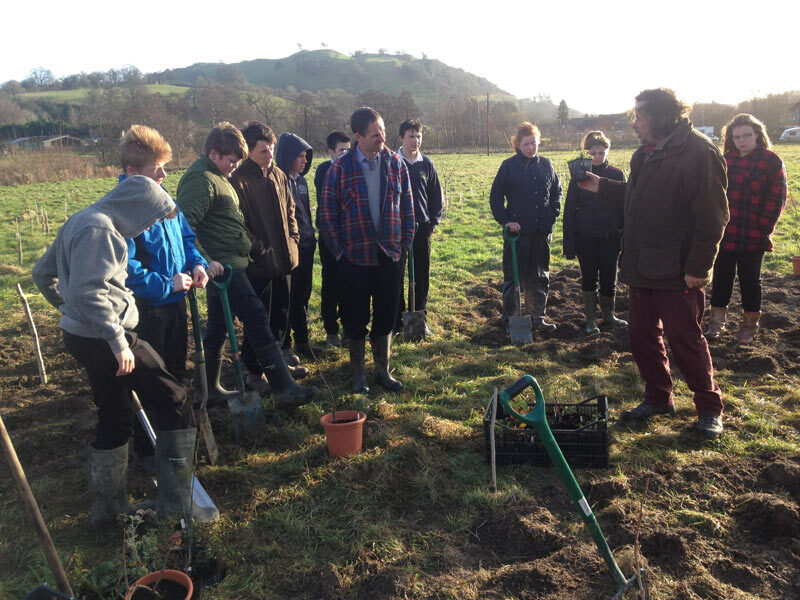 Many thanks to teacher Emyr Jones and his Land-based studies GCSE class for their continued hard work on the Cae Bodfach community orchard project. On what was a bitterly cold and rainy day 20 students joined us to start planting the phase three development on this orchard and forest garden project. 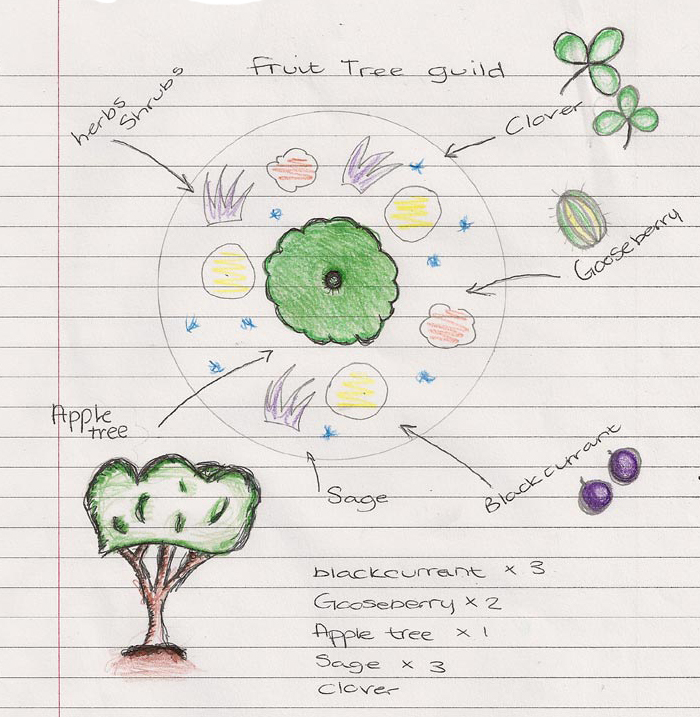 Students have designed their own fruit tree guilds, to support the apple trees they are also planting as part of their GCSE project. 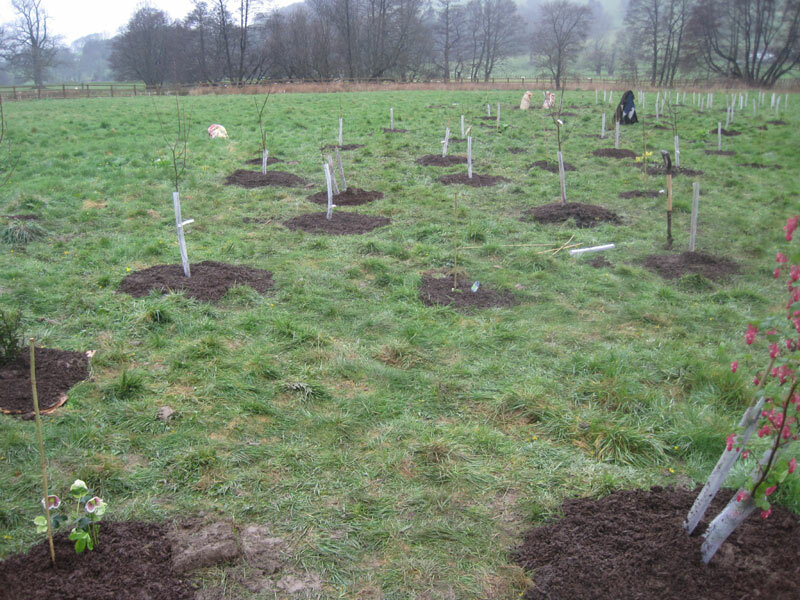 We planted 7 more apple trees, on M106 rootstocks along with comfrey, borage, mint and other flowering herbaceous plants which will help attract pollinating insects. On our next outing we plant to add black current, raspberry, chokeberry and more fruiting bushes to the collection. We hope this will grow to be a great community resource as well as something to support local wildlife and help protect biodiversity. 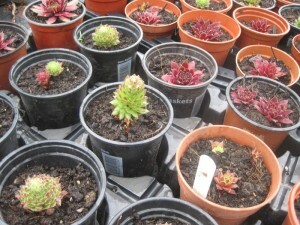 Plants we supplied by the Cwm Harry in Newtown who have developed a nursery as part of their Cultivate enterprise to support community growing such as this across the Mid Wales area. We were lucky to have a visit from Emma Maxwell, lead horticulturist from Cultivate, who gave us tips on tree care and planting as well as leading on the planting practical. It was too hot this week for more than an hour’s work in the garden, where we are collectively scything and chopping the grasses and nettles growing between the orchard trees to mulch around them and reinforce them. The biggest threat currently is the local sheep who in the summer period have learned to ford the river and get in to the community field, Cae Bodfach. The idea that sheep eat grass is a bit of a misunderstanding, because given the choice they tend to go for anything else, especially tender herbs and juicy fruit tree leaves. So thanks to Richard and Dewi who chased out some 50 sheep the other day and hopefully have since managed to fence them out. Lovely picture above on Kelly and Diane from Meifod, who popped by to see how the fruit tree guild they planted is developing.. and we talked about the possibilities of doing more of that kind of thing as it had worked so well. We also met with Andy Lee at the Workhouse this week to discuss further plans for the Green Hub who have some resources still for further workshops and to continue the development of this another bio-diverse and productive community spaces. I am very keen to offer a series of Forest Garden workshops in the Autumn, and building some more plantings over the Autumn and Winter season. Anyone interested in getting involved either pop along on Thursday mornings. 10 – 1.00 when we are usually there or get in touch directly via this website. Plant selection at the Cultivate nursery in Newtown. 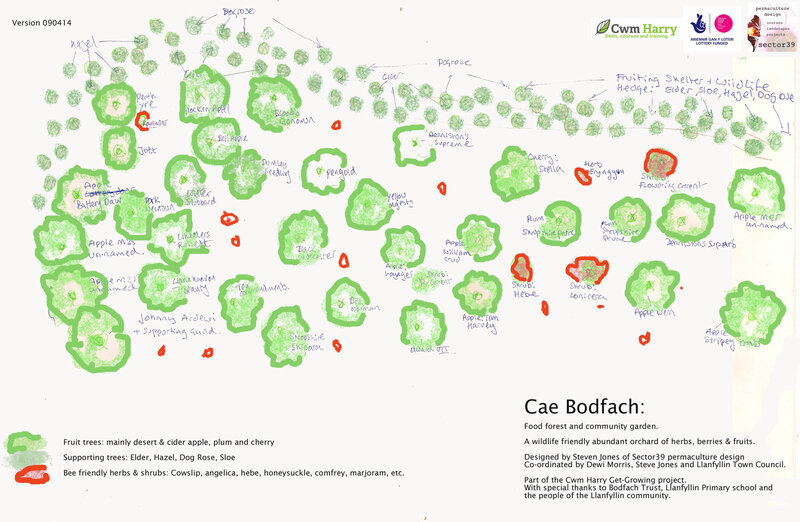 After a 2 week break, as I have been away running a permaculture design course we are back at Cae Bodfach, the community field in Llanfyllin for Thursday volunteer sessions. 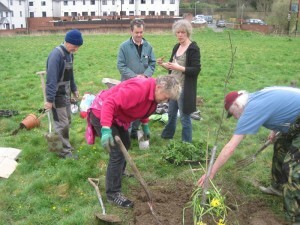 We are usually parked in the bottom car park by 10 am and work on the community orchard until 1 pm. There is a little team of 3 or 4 of us each work, joined by whoever else might drop by. Thanks to Seri from the Cultivate Nursery in Newtown who donated a mixture of perennial plants this week, which we planted along side the 35 or so fruit trees and 80+ support trees we have already planted. Its a very informal affair.. people are welcome to drop by and join us on a Thursday morning, where we are scything grasses and mulching the trees as well as adding bee friendly pollinator plants, fruiting shrubs and herbs to the orchard. I might remember to take my camera next week.. and I will add some shots of beautiful meadow down by the Cain river where we have planted the orchard. 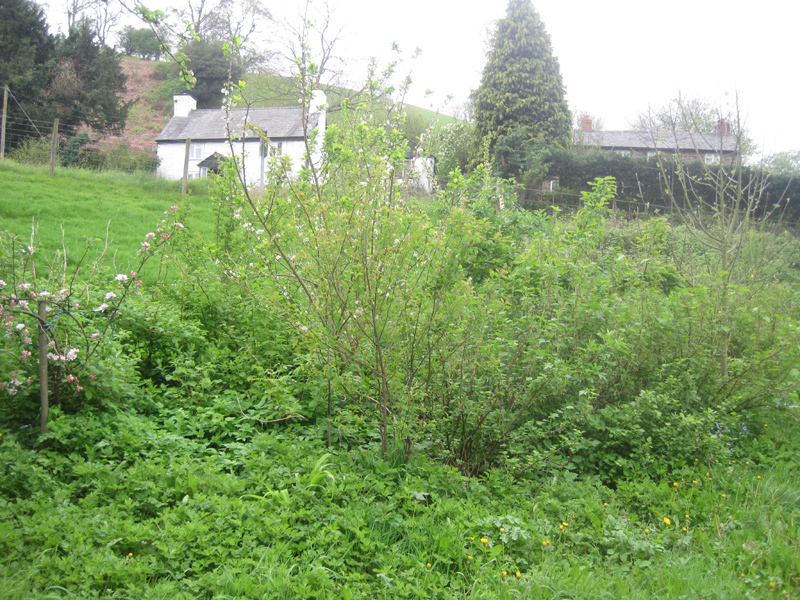 A Green Hub for Llanfyllin? It was great to be back at the Llanfyllin Workhouse project this week, working along side the team there to help develop their community growing aspirations utilising the 6 1/2 half acres that surround the historic building. The 5 day Community Garden Design Course was commissioned by the Llanfyllin Green Hub project and delivered by the Cwm Harry Skills team. 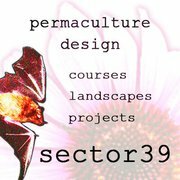 As part of the the Sector39 partnership I have previously run 2 permaculture design courses there at the Dolydd and indeed we were based there for two years from 2009-2011 so I am very familiar with the site. 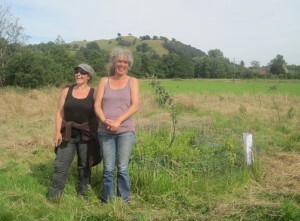 Cwm Harr’ys Get-Growing project has one year left to run and the third target area to work with is Llanfyllin. So this was an ideal opportunity for us all to work more closely with each other and to use the the Green Hub project to develop links between the various projects in the area. Between the community field and Cae Godfach, the allotments and now the Workhouse there is plenty of opportunity for coordinated action. It was very encouraging to see how some of the previous projects have really taken root and developed, so it is also exciting to thik about what hopefully might come out this latest crop of ideas for the Workhouse gardens. 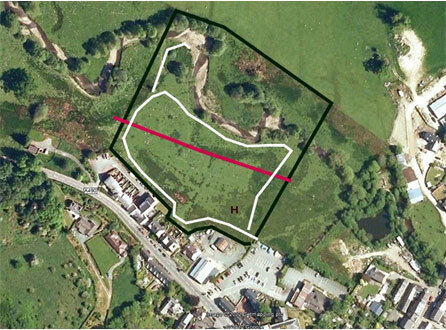 Green hub for Llanfyllin? Could this be the ideal location for the Green Hub? The disued barn next to the Workhouse. 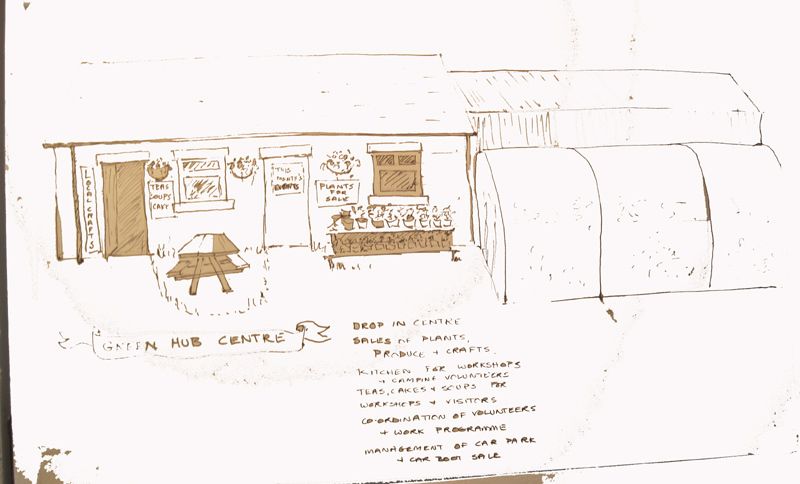 A proposal was made for consideration from the Community Garden design course.. that the Workhouse allow the Green Hub to use the currently disused barns for the coming year as abase for the Green Hub. The intention would be to hold weekly )Friday afternoon?) sessions there… as a base for skill sharing, community growing activities, selling produce and crafts and generally acting as focal point. As it is not part of the workhouse, or the community, it might provide an ideal neutral space for people to drop in, and either become involved in community growing activities around the community, including of course at the Workhouse as well. Local artisans have already expressed interest in perhaps using it as an outlet to sell crafts, distribute surplus produce etc. Design group from the 2014 course, who have worked hard all week generating ideas for more community involvement at the Workhouse. The Design group presented a collective vision of the Workhouse being a key hub in the local community growing scene. Via projects like the Green Hub and working with organisations like Cwm Harry they can use a series of courses, skill sharing and community events to both develop and manage the gardens at the Dolydd. Earlier plantings of fruit trees, living willow and forest gardens have all thrived there adding interest, edges and productivity to what is already a beautiful location. 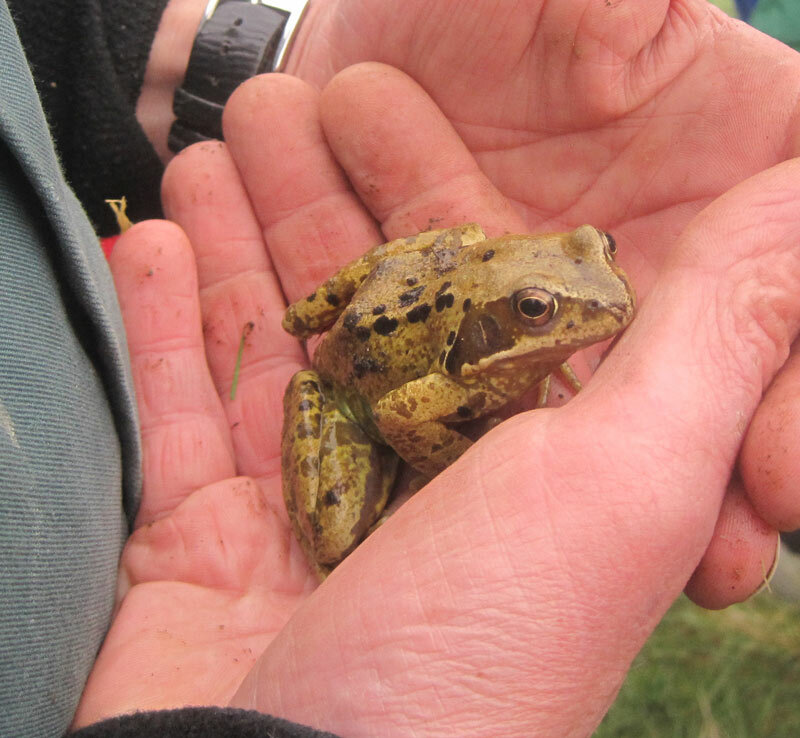 For the organisation itself to thrive it needs to use its landscape and ambitions for protecting wildlife and biodiversity also as a way to actively build links with the wider community. From community gardening days, produce sales, tool sharing and maintaining,,, there are many ways a local Green hub group could contribute to the Workhouse and the wider community. Watch this space for updates! 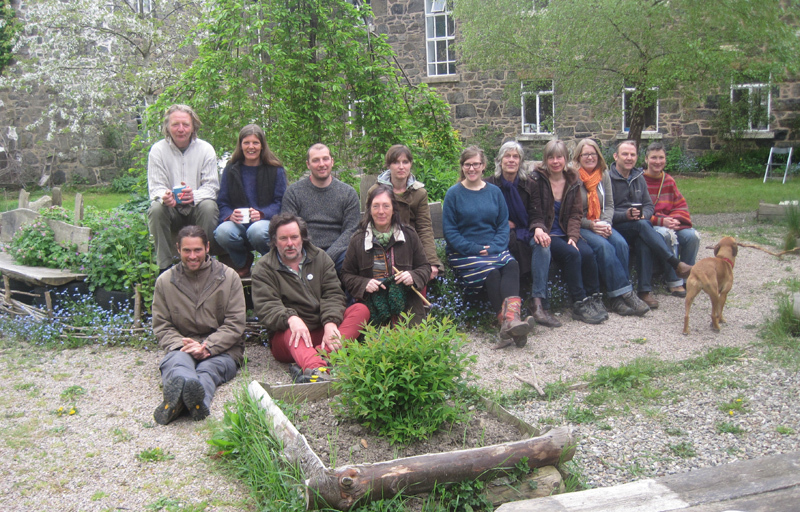 It has been a fantastic week for forest gardening, with the launch of the Village Farm Orchard project in Liverpool, something I have been working on for 2 years now.. and the planing of a forest garden orchard for the community of Llanfyllin. Cae Bodfach is an area next to the Cain river, upstream of Llanfyllin town that is rented by the town council from the Bodfach estate as a community asset. So we have been keen for while now to start something there that the whole community can benefit from. 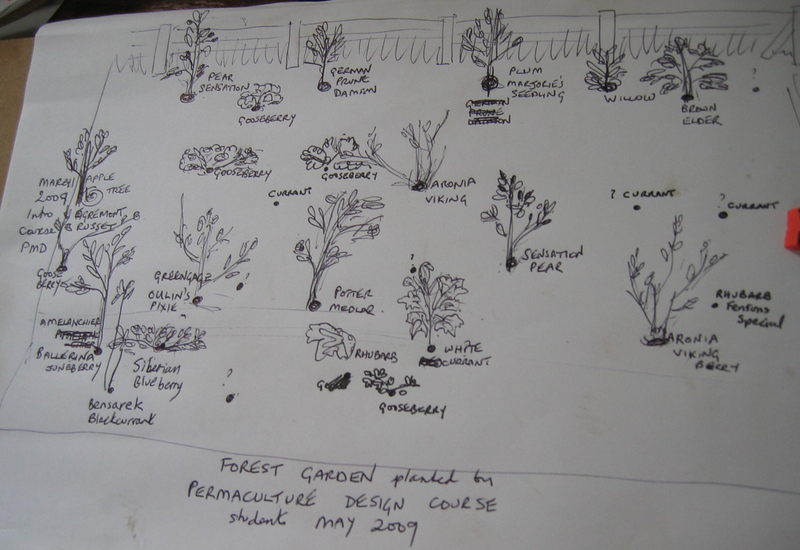 The potential for involvement is wide open, as we don’t intend to stop with the forest garden.. but this was a significant start to the project and I am thrilled by the interest so far. 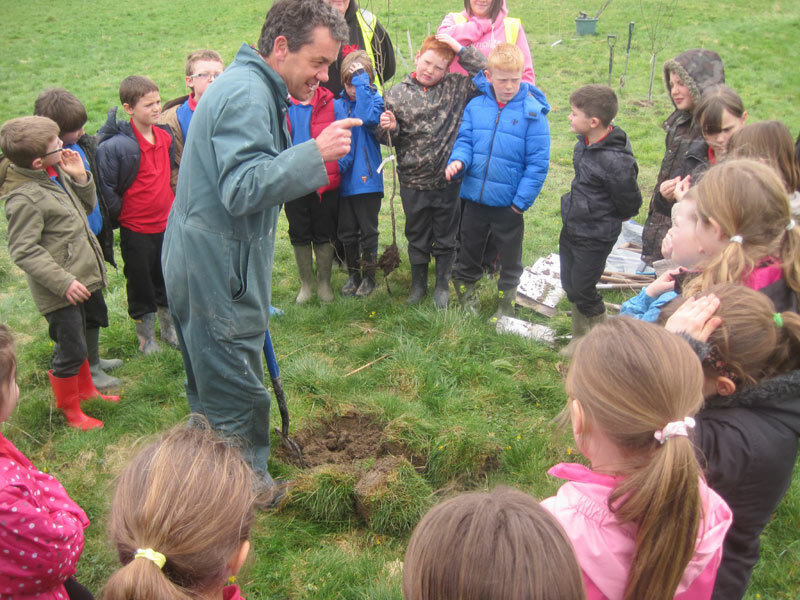 On Friday we were visited by 80 children and staff of the Llanfyllin primary school, who all got involved in planting, digging holes and adding tree guards to the young saplings they were planting. It was a pleasure to work with freelance park ranger Dewi Morris, who has a fantastic repartee with the children and got them all busy working away and enjoying the fresh spring day down by the river. The design for the garden has been approved by the town council and involves planting a fruit hedge and shelter belt of elder, hazel, blackthorn, damson and brier.. and on the south side of that lines of orchard trees interspersed with herbs, shrubs and flowers that area ll good bee fodder and will help attract beneficial insects and build the fertility of the orchard. Of course it is lots of fun working with young children, as every event is chance for major excitement. Find worms, a frog, bits of all clay pipe or broken plate all constitute major events and a chance for wonder and investigation. Ah the simple pleasures! Really fun to work with them all and a big thanks to the school and teachers for taking part and for their enthusiasm, I will look forward to more sessions in the future. Community Day Apologies for anyone who came later on and missed all the action and to anyone who didn’t know we were planting this weekend.. but there will be other opportunities and this is just the beginning of something we plan to build on.. so there will be other chances! I tried to count how many people came down.. 46 is my guess throughout the day.. and what was especially good we had members from across the local community.. all ages and back grounds from Town Councillors, to residents fro the housing association adjacent, folk from the surrounding hill and villages, past permaculture students,friends and more.. Members fro Tan Y Fron housing cooperative in Meifod came along to plant an apple tree guild.. and set of specific support species to help the tree get established. It will be really interesting watching this develop and we are planning some signs to help people interpret what is going on there as well as labeling the key trees in the orchard. Many of the trees have come from local nurseries and are old and interesting varieties. Mainly desert and cider apples, but we also planted cherry, pear, quince and plum and we will be adding roe later as well.. so it will only get more interesting over time hopefully. We managed to plant 33 fruit trees, 60 supporting trees in wildlife/ fruiting hedge as well as £100 worth of bee friendly plants donated by the RHS. We will be adding to this over the coming year and are open to suggestions for other elements we can include in the garden. It might be nice to include some veg growing facilities like raised beds etc… but for now we have concentrated on long term perennial plantings that will have a long life span and will also contribute to local food growing, wildlife and habitat provision. Tan y Fron Coop and friends, planting an apple tree and guild of supporting plants as part of the Cae Bodfach community garden. 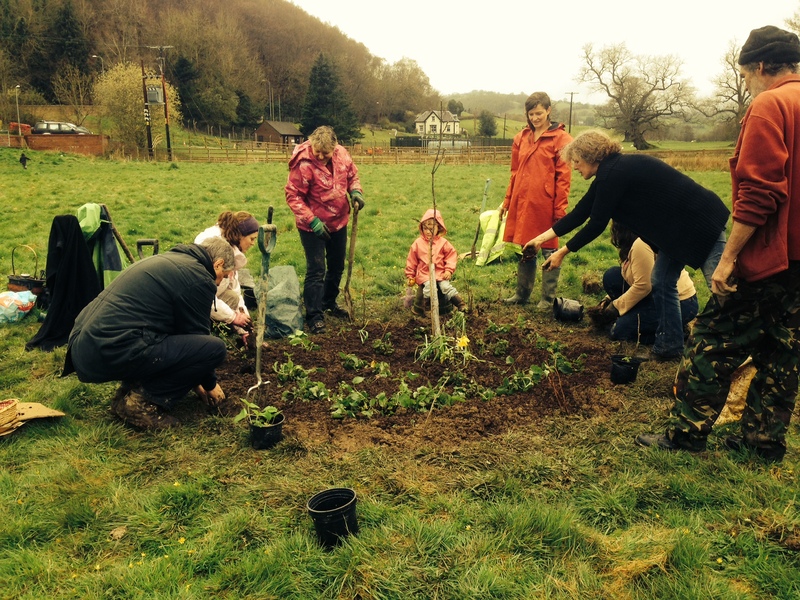 Subject to approval of plans by the town council we have scheduled the first planting days for the community orchard for the Friday 4th of April, which will include Llanfyllin primary school and Saturday 5th April for the general public. The vision is to grow a forest garden and community orchard in an area in the middle of the Bodfach field down my the Cain river. It will be accessible to all and community members will be welcome to help them selves to resulting fruit. We will be down there on the Saturday from 10 am and anyone is welcome to come along and get involved. We will provide some tools and the main job will be preparing holes to plant fruit trees. 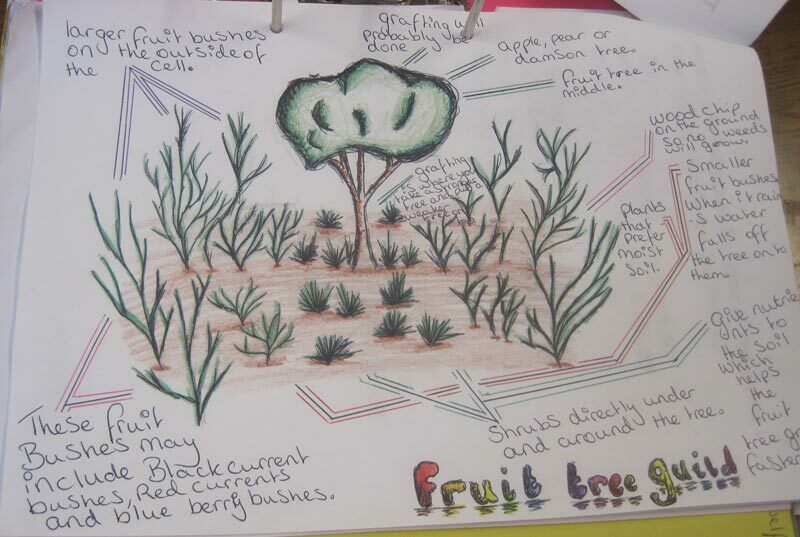 We will have 20 – 30 fruit trees to plant it all.. which will make an excellent start to the community garden project. Dewi Morris from Llanfyllin and Steve Jones from Cwm Harry attended the town council meeting Llanfyllin last night to hopefully pave the way for a new community garden space in Llanfyllin that can also be part of Cwm Harry’s Get-Growing community growing initiative. We are keen to build a partnership between the Llanfyllin community, their Green Hub initiative, the Bodfach trust who have kindly donated the space as well as other local community groups. The community land at Llanfyllin, kindly donated by Bodfach Trust. black line denotes the boundary, white is footpath. Two different Sector39 permaculture design course groups have worked on a design for this project, the first looking at landscape design options and component, the second looking at the barriers that have so far prevented any on the ground progress from happening. The outline below is the product of the second study and is the core of what we submitted to the Town council last night. Our ideas were met with support and enthusiasm from the council and we have been invited to submit a phase one plan of the design to the council meeting next month. We were also offered an initial budget of £400 for plants, which we intend to match with resources fro the community and from Cwm Harry. Two years ago, the site was offered to the Town Council for 20 years by a local landowner, Simon Bains. The Town Council held a series of meetings with a group of interested representative local people, chaired by the owner of a local hotel. 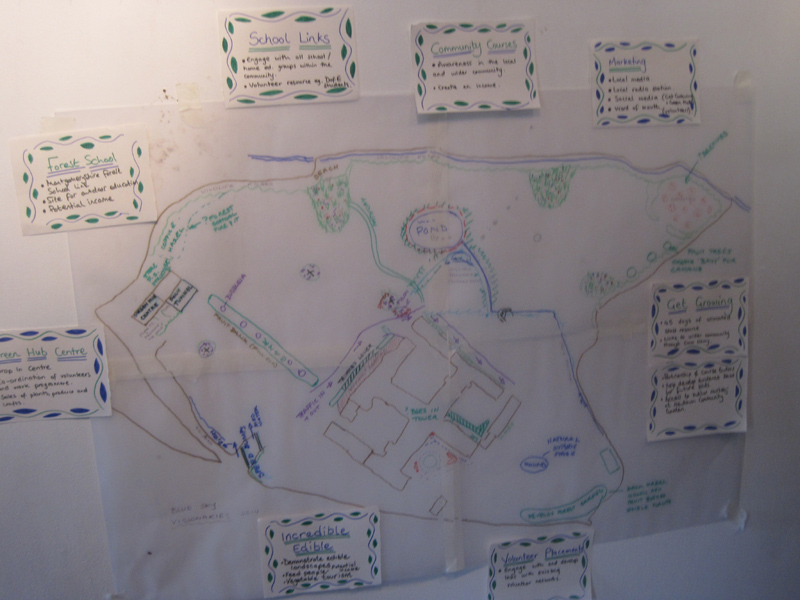 The group came up with a plan, which included a forest garden, gabion amphitheatre, picnic benches, and a young people’s adventure play area. The cost of the plans came up to £220k, and the Parish Council felt that this was too expensive. 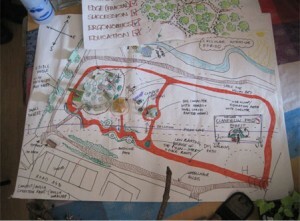 Steve Jones used the site on a Permaculture Design Course, which came up with an alternative sketch plan, which incorporated the forest garden, a fruit orchard, and sitting area. The site extends to approximately 10 hectares and straddles the river Cain , with the North East side planted with young trees. An artificial otter halt has been built on this side of the river. This side is relatively inaccessible. The land is wet, though flooding appears to be rare. The site is quite open and appears to be exposed to wind. To the South East of the site there is a SUDS scheme, which was built by the environment agency, with the help of four local volunteers. It includes a boardwalk, with benches and interpretation panels, and is fully accessible. It is separated from the rest of the site by a hawthorn and blackthorn hedge, which was planted when the SUDS scheme was carried out. To the South some fruit trees have been planted by the local school (can’t remember whether it was primary or secondary) on a relatively dry piece of land. They were acquired by Dewi Morris, who has been heavily involved in the project. An informal path runs around the edge of the site, which is used by local dog walkers. A waste bin for litter and dog waste is situated by the entrance gate. The river is fast flowing and meanders through the site. There are the remains of an oxbow lake adjacent to the river. The river has alder trees along part of its banks. There are electricity lines and pylons across the site, and the helicopter ambulance has a landing point near the entrance. Test pits have been dug to identify the soil and strata by Steve Jones. This identified that there was an area in the centre of the site, which was drier. The land is almost entirely grassland, which is cut once a year by a local farmer, who takes the cut for animal feed/bedding. A large Spar supermarket is planned on land adjacent to the site. There is car parking for some cars by the entrance to the site. The Community consists of about 1,800 people. It has a good socio-economic mix, with a thriving primary and secondary school. The community is tightly knit, with a strong alternative feel. Many incomers came to the town in the 60s and 70s. It is a lively town, with a lot of musical events, and strong art/craft interest. The library acts as a good hub for the arts (more about the detail here), The High School is an Eco school, and within the grounds there are small allotment plots and micro community orchards. The orchards have a limited amount of community involvement. 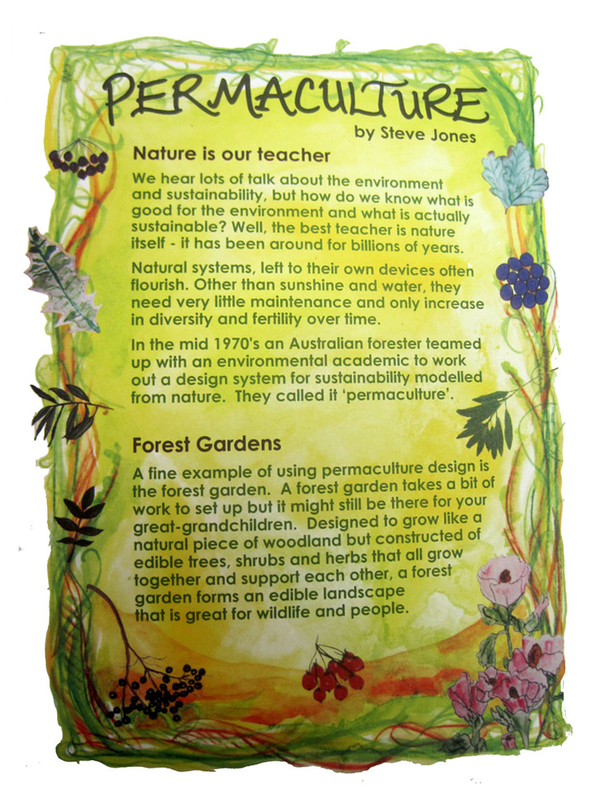 Steve Jones has taught a term of Permaculture at the High School. The Workhouse is a centre on the outskirts of Llanfyllin. It is a grade II listed building used as a music and festival venue, with a bar and craft workshops. The venue splits opinion within the community, with some seeing it as a negative influence on the town, while others see it as a valuable community resource to be developed. Over the past year, a resident, Andy Lee, has been keen to link together different areas in the community to become a green hub. To this end he has raised £11k and is keen to develop a joint vision. Steve had a more a more pragmatic approach, and wanted to see a community garden, starting in a small but very visible way with an orchard area on the drier land in the centre of the site, but designating areas of the site for future potential growing initiatives. He sees the initial planting as happening in the near future. It is intended that the land produces fruit and vegetables for the local community for immediate consumption, and to make into preserves. In addition, willow and other fast growing trees could be used for craft workers and for biomass. In addition, this could be a community space, where people meet and socialise, perhaps while tending to crops. It will also be necessary to accommodate the farmer who harvests the grass, and dog walkers. 1. Identify who will be interested within the community. At present the is a group of people who have some commitment, but if the project is to work, this needs to grow. a. local meetings to discuss ideas, and what people are prepared to contribute. This may interest some local people. This could be a drop in format, with planning for real to build a feeling of empowerment. b. questionnaire, which could be distributed to households. This would require quite a lot of work, but may identify more people who eg have craft or cooking skills. It would also give a map of skills and commitment of the community. c. Start by ‘doing something’ eg tree planting. This could be advertised, with local volunteers carrying out the work. There are however dangers that the community may feel that they have not been involved and may be reluctant to commit and disempowered. d. Ad hoc support is usually easy to encourage and find. More challenging will be a more organised structure to ensure that the project develops and evolves, and that the site is maintained appropriately. e. A blitz approach could be used by a range of social media, leaflets, talks etc. to get a level of enthusiasm. This would take quite a lot of resources, which may be beyond the existing group. 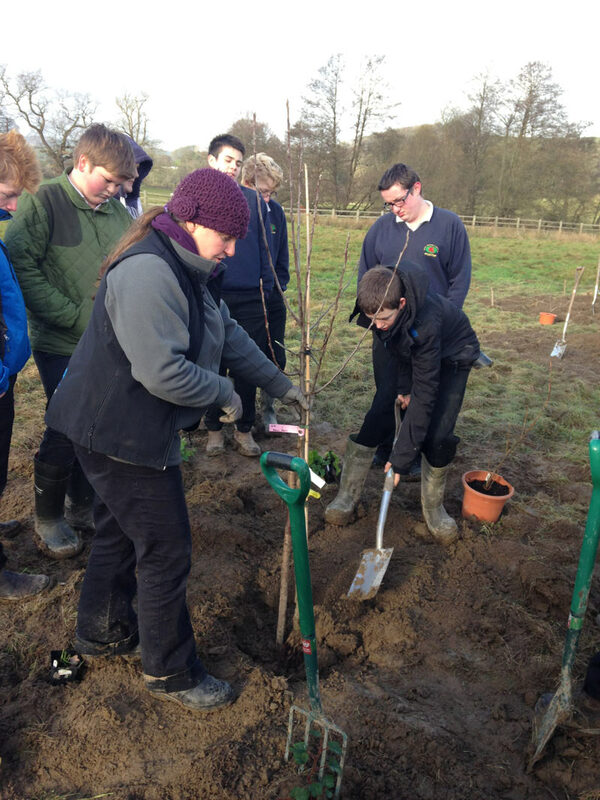 f. Involving the schools may be a useful place to get enthusiastic energy, though this may be only useful for one-off events such as tree planting, rather than ongoing maintenance. Sit down with Dewi before you meet with Town Council and agree a plan of action. This will be important if you are to come across as focussed with a common goal. 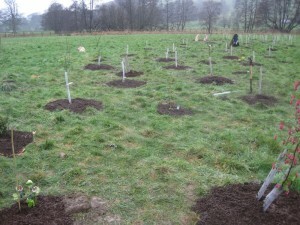 Start with the fruit trees, where you want to put them and why. Describe the issues re mowing. Reassure them over the amount of maintenance that will be required. Talk about having a big event to plant the trees and engage with the local community. Ask if there might be a chance of some funding for holding this event. Invite them to be involved if they want to be. Move on to your wider vision for the project. Acknowledge that the earlier design was too expensive for the Council, but that there are elements such as the forest garden/allotments that could be developed relatively inexpensively. Mention existing uses such as dog walking and helicopter landing to assure the Council that existing users can be accommodated. Say how you see the project being managed – this is time for mentioning the Green Hub and how that could contribute to the strategic direction. Assure the Council that there will be a robust governance structure for the project. Ask the Town Council for their opinions and how they see their role. Start with another tree planting event. Plan carefully for this. The aim of this event is not just to plant the trees, but to grow awareness and engage local people. At this stage it is about identifying interested individuals. A media campaign will be important in order to advertise the event, and parish council permission and approval should be sought at an early planning stage. Perhaps a grant could be obtained to allow for a large gazebo to be hired, and refreshments provided. Refreshments could include home cooked/baked produce eg apple cakes, to show what could be done with the produce. Events like face painting, apple bobbing or making dream catchers could be included to encourage a good attendance. It will be important here to involve local groups, eg WI, who could be encouraged to attend if they see it as a fundraiser for their group. The local history group could be asked to research the history of the area and invited to put up a display. They could also be asked if they would record the recollections of the site by older people. The local schools could be asked to get involved – perhaps with pictures of their vision for the site or a painting/craft competition. This could bring in parents as well as the young people. Local craftspeople could be asked to demonstrate their crafts. A questionnaire could be designed for the event to gauge interest in the site, and contact details if and how attendees want to be further involved. A site design could be put up with workable suggestions. Attendees could vote for the ideas they liked best. It will be important to follow up this event fairly quickly so as not to lose momentum in the project. 2. Develop a more formal structure for decision making. While small tasks could be carried out quickly, it will be important to have some sort of formal structure for a steering group, if funding is needed. A few quick wins will be needed here if the group is not to get bogged down in constitutions! 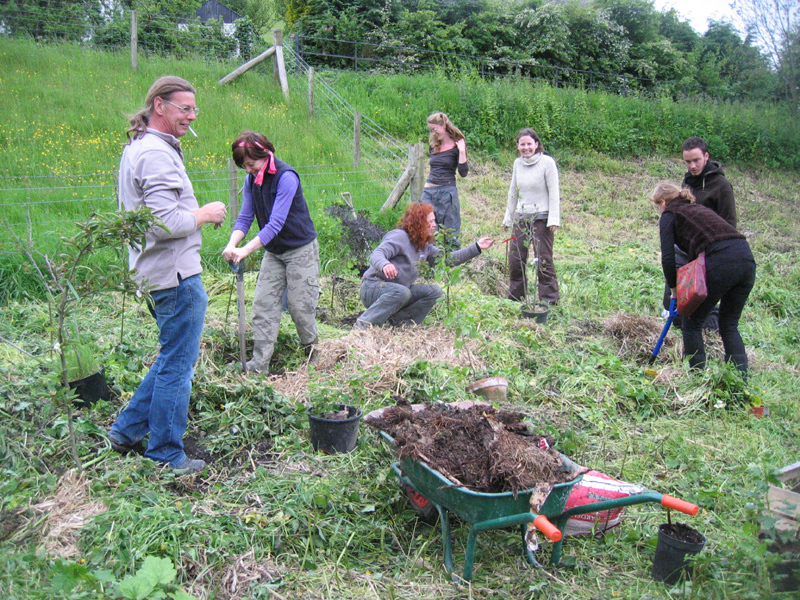 An external facilitator here may be useful to bed down a workable agreed permaculture vision for the site, which can then be shared with the local community. 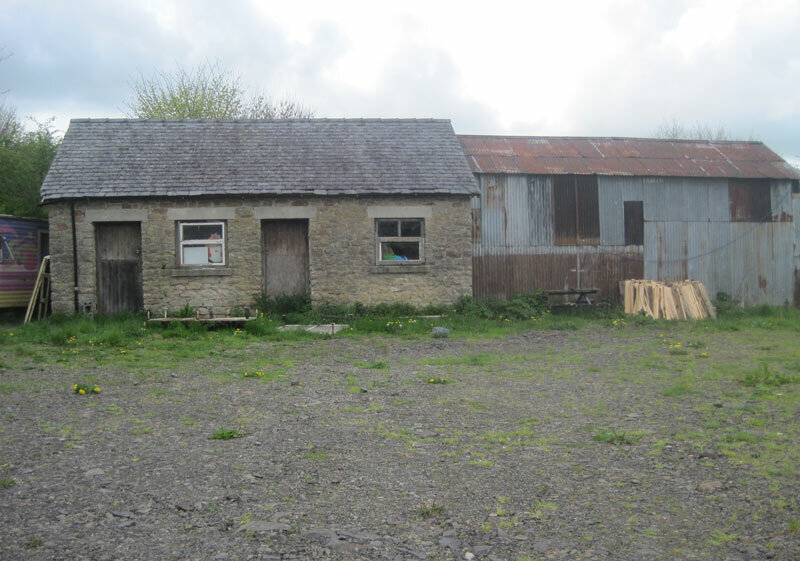 Liaison with the Parish Council, and possible the workshop management committee will be important here, as will the idea of a Green Hub – could the steering group cover a wider area than just the site? Lines of communication and decision making need to be clear – who makes the decisions, where and when? For example, how many people might be interested in allotment plots, and how big do they want them? Special interest groups might be interested in products such as willow for basket makers, or plants for weavers to dye their cloth with. Any new part of the project needs to be evidence based. Try to involve those groups when that part of the project is being developed and built/planted. Management plans need to be in place so volunteers have a clear idea of what is planned and what their role is in bringing it to fruition. A gradual implementation of the vision will probably be more appropriate for this site. The main cost will be the event, this will depend on how many people might be prepared to give their time free.